Pond Dipping must be one of the classic child hood activities that at some point in every ones childhood they get to experience, but I sometimes wonder if there are less children getting to see nature in this way than there used to be. Taking a trip to a local pond will unleash a new interest in nature and as there are hundreds of ponds all across the UK no matter where you are there is bound to be one near you, if you are not sure where a local wildlife pond is then take a look at the Wildlife Trust website to see what nature reserves are local to you. Once you have found you local wildlife pond to dip, you will need some equipment. Nets and containers being the only two things you really need and neither need to be expensive, pretty much any net will be just fine, even if you have a net with larger holes its likely you will still catch small critters as they get caught up in the weeds. Old ice cream tubs will be perfect containers, white being a great colour to help you see your finds. 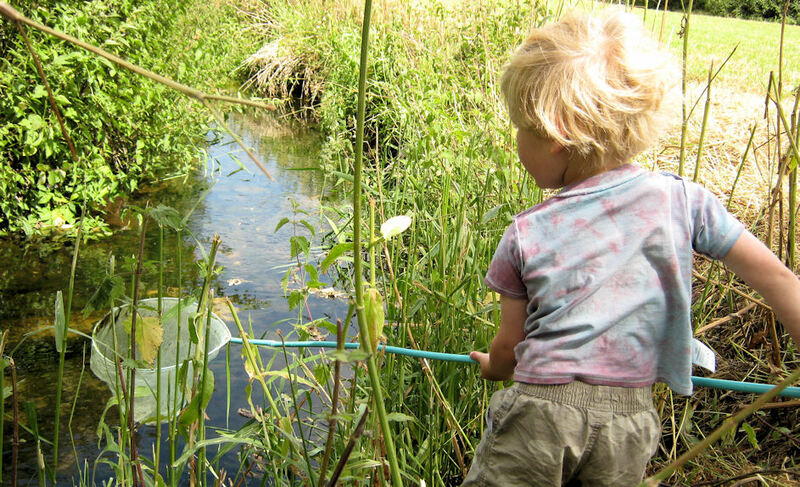 Its lovely to just get out into the countryside with a net and a bucket and let the children dabble in the edge of a pond or stream it makes a great afternoon activity needing minimal forward planning, but if you want to plan more of an activity around Pond dipping then take a few minutes before hand to prepare some identification sheets, gather some magnifying glasses, pens, paper and clip boards to take along with you so the children can jot down what they find. 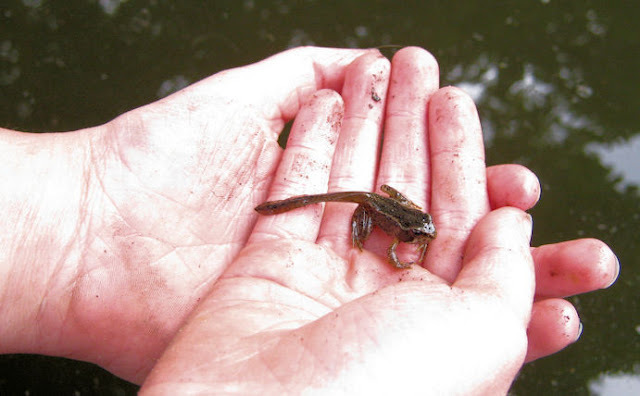 There is so much nature around ponds from flowers to the bugs and beasties that inhabit underwater, take a look at the Pond Conservation website which has a lovely list of what you can expect to find. 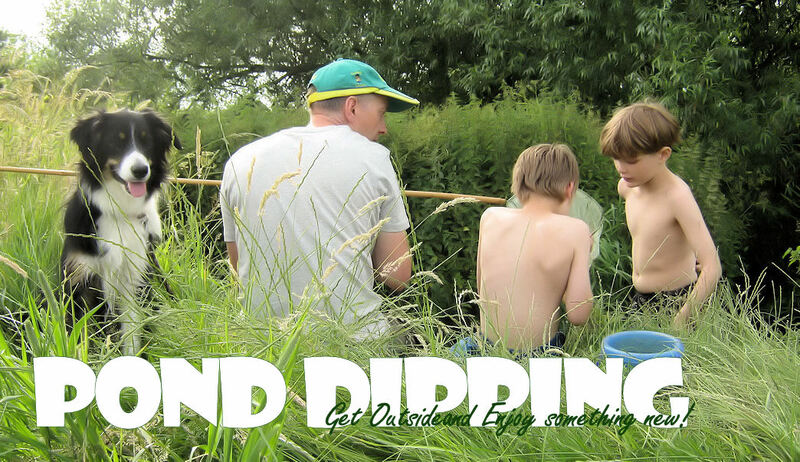 The great thing about Pond Dipping is that no matter what the weather it can still be fun, and it doens't really matter what time of year you choose to go along there will always be something to find! You can watch the life cycle of frogs fnding frogspawn in the early spring (normally feb - april) then watching as they turn to tiny tadpoles and over the next 3 months become froglets with tails before going through metamorphosis and becoming perfectly formed minature frogs. Along with all the other pondlife it really is something you can do again and again. 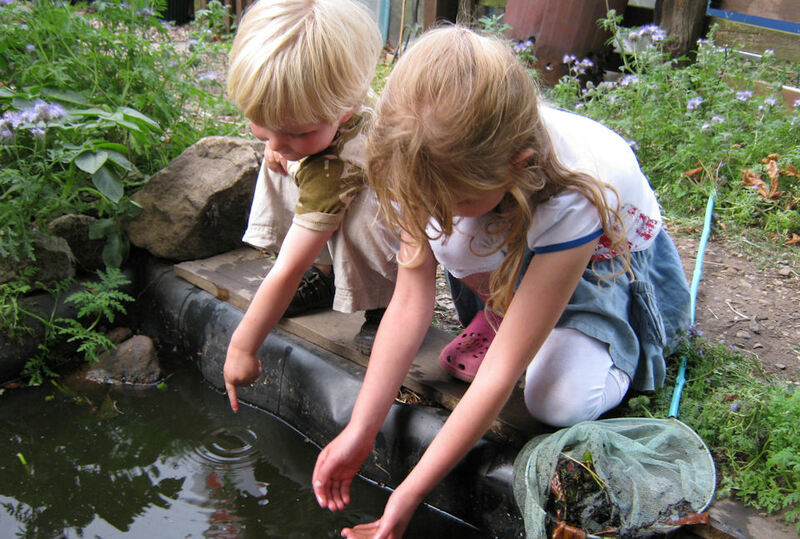 To get the most out of pond dipping try not to gather too much pond weed from the top or sediment from the bottom, and sweep in figure of 8 strokes, the mini beasts will tend to be found in the sheltered spots under plants and trees or near the edge. Obviously Pond Dipping can be wet and muddy so ensure your not wearing your Sunday best clothes, if your not worring about the dirt you will have much more fun, and for safety reasons ensure children are supervised at all times. 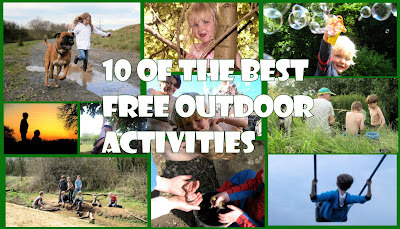 This Post is part of my 10 of the Best Free Outdoor Activities series this post is to help inspire people to turn off the electronic devices and find some fun outdoors click the badge below to find more outdoor fun. I love how your family is always outside! We try to be out and about in nature as much as possible. It's one of the things I love most about your blog!!! This is something I so want to do with my son. Must get organised - we have the equipment it's just the organising and if it would just STOP RAINING!